First thought to be titled Uncharted 3: World of Deceit — now officially Uncharted 3: Drake’s Deception — the threequel is scheduled for a fall 2011 release. But to keep our mouths watering until then, developer Naughty Dog have given us some screenshots to maul over. Here is what we know: As obvious as it may be, the title is not what everyone thought it would be and is now officially titled Uncharted 3: Drake’s Deception. The title gives us a significant clue into what the game will evolve around, and this is Drake being the deceiver but also being deceived. There is also something deceiving about Drake’s very identity. 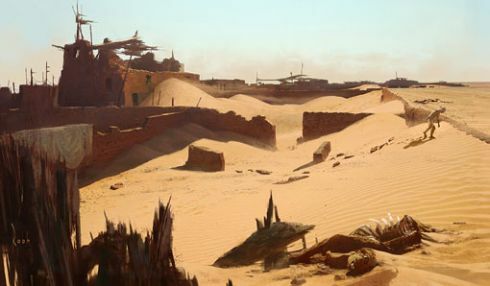 We can also expect to see Drake’s relationship with “Victor “Sully” Sullivan continue, as the mentor asks him to go searching for a lost city that will take him across a vast range of other areas such as the Arabian Peninsula and the Rub’ al Khali Desert. Along with the projected fall 2011 release, we can also expect to see the first Nathan Drake novel, Uncharted: The Fourth Labyrinth which will mark the start of Naughty Dogs push to make Uncharted a “transmedia” entertainment brand, much like Star Wars is today. An official release date is not yet known, we still don’t know if fall 2011 is accurate yet, but we could find out as soon as December 11 (this Saturday) hits as we are expected to get the first Uncharted 3 trailer at the Spike Videogame Awards. The PlayStation 3 exclusive Uncharted 2: Among Thieves received much praise last year, and also won a ton of video game awards along with selling over 3.8 million copies worldwide. This just shows the extent of how big the game has become, so it’s no wonder people are itching to find out some news about the next in the series. 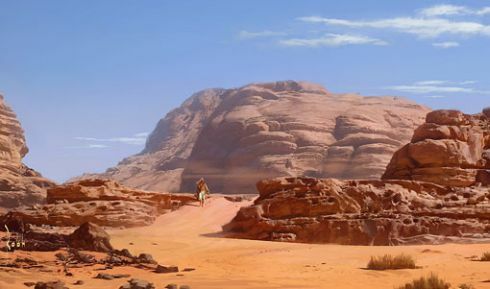 Check out the official Uncharted 3 teaser below, and let us know your thoughts. Next article Gresso Luxor Phone: New Model on Christmas Wish List? Gresso Luxor Phone: New Model on Christmas Wish List?